Well ! 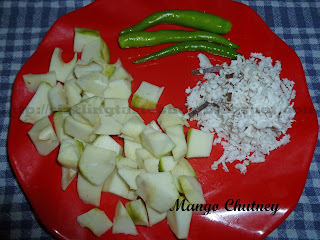 It was the King of fruits, Mango season last month and I tried lot of dishes this summer with it. Oh! yeah ! I know, I am not the only one to do so. This recipe is from my dearest mom and my favorite too. 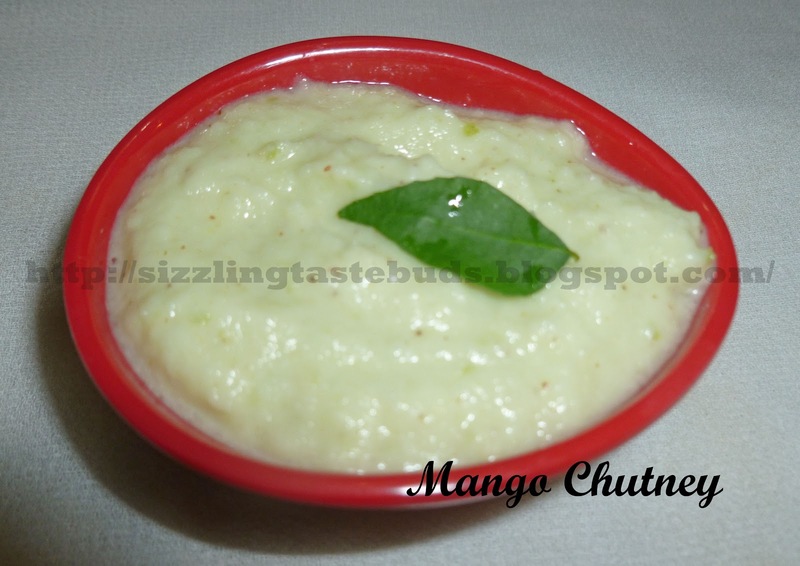 I never miss out this chutney during mango season. Its so simple and gets ready in minutes. When you count the ingredients, you jump at once to try it out. Its spicy and tangy and gets you charged up at once. So lets head straight to the recipe. 2. Blend all the above ingredients in the blender till smooth paste. Add very less amount of water if required. 3. Transfer it into the serving bowl and enjoy this spicy tangy Mango Chutney. 4. Suits best with hot rice and any simple curry or with Ragi Roti.